A trial date has been set for a man accused of shooting and killing another man last year at the OBok Restaurant & Club, an official said on Friday. During a special hearing in the 264th Judicial District Court on Friday, Reginald Ferlandus Jackson’s case was set for a jury trial on Aug. 26, said Adela Gomez with the Bell County District Attorney’s Office. Jackson is accused of killing 41-year-old Deandre Patrick Thomas, of Killeen, after the two men reportedly got into an argument just before 2 a.m. on Aug. 18, 2018, according to the arrest affidavit. Police said that the murder was caught on camera. The victim was never seen with a weapon, which corresponds with multiple witness statements taken on scene, police said. Police were called to the 2800 block of South Fort Hood Street in reference to a shooting. “Officers observed a male on the ground with multiple gunshot wounds,” according to the affidavit. The victim was transported to Carl R. Darnall Army Medical Center in critical condition and Justice of the Peace Claudia Brown later pronounced him dead at 2:46 a.m. An autopsy was ordered to be performed at the Southwestern Institute of Forensics Sciences in Dallas, according to the Killeen Police Department in a news release, previously. 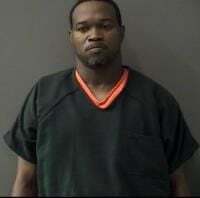 Jackson has been out of jail since posting a $100,000 bond on Oct. 13. The bond had been reduced from $500,000.